Anglican Unscripted this week: More breaking news on the developing story of the Anglican Church of Rwanda and the Anglican Mission in the Americas, an update on the continuing controversy over the reception of Father Bede Perry as an Episcopal priest by now Presiding Bishop Katharine Jefferts Schori, commentary on recent developments with the proposed Anglican Covenant, and an interview with the new CANA bishop Julian Dobbs. 1. 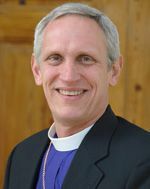 A Letter to Bishop Chuck Murphy from Archbishop Nathan Gasatura, primate of the Anglican Church of Rwanda. 2. A Letter to Bishop Chuck Murphy from Bishop John Rucyahana. 3. A Letter from the Rev. Cynthia Brust of the AMiA Press Office to the Rev. Canon George Conger. UPDATE: AMiA Bishop Terrell Glenn has announced that he has resigned from the AMiA. Here is his letter. Tip of the Tinfoil to Treading Grain. Grace and peace to you in the name of our Lord Jesus. I am writing to inform you that I have resigned from the Anglican Mission in America. I communicated this to my brother bishops earlier this week at our fall retreat in Myrtle Beach and submitted a letter to that effect to Bishop Murphy, our Chairman and Archbishop Rwaje’s Primatial Vicar. This is not a decision that I have made lightly or in haste or in reaction to any of the impending decisions about the future direction of the Anglican Mission that are before the Council of Bishops and the Anglican Mission. Rather, it is a decision that Teresa and I have made after several months of agonizing prayer as we have sought to do what we believe the Lord has called us to do. For a while now, Bishop Murphy and I have sought to resolve personal issues between us. Regrettably, we have been unsuccessful. As Teresa and I prayed about this, we came to believe that the Lord was leading us to step out of the Anglican Mission and we are doing this in obedience to Him. In anticipation of this decision, we sought to hear the Lord about next steps but only heard Him clearly about this one. Therefore, we now are entering a period of discernment as to our future ministry. There are two things that I ask of you at this time. First, please do not take our decision as an indication or recommendation from me as to what any of you should do in response to the proposed changes in the life of the Anglican Mission as it considers becoming a Missionary Society. Instead, I ask that you remain faithfully a part of the Anglican Mission and a vitally prayerful part of the process of discernment in which the Mission is currently engaged concerning its future. This means that discussions among you should be conducted in a manner worthy of the Gospel, that honors the leadership of the Anglican Mission and that is above reproach in every way. Second, and more personally, I ask for your prayers for direction for the Glenn family as we seek our Lord’s will for our lives. Over these past three years and especially in this recent season in which I have been able to give a singular focus to serving as your bishop, Teresa and I have been blessed not only to deepen ministry relationships with you, but also to foster friendships. Truly, it has been an honor, privilege and joy to serve as your bishop. Teresa and I love you deeply and you will remain in our prayers. Kevin and George have apparently been called down to the Principal's Office. There will be no more critical reports about Chuck Murphy & Co. or they'll be shunned. There is very little in terms of a Free and Independent Anglican Press which is not beholden to the institution. Onesphore Rwaje (not Nathan Gasatura) is the Archbishop of Rwanda.